The MCC123 is designed for an hourglass silhouette. 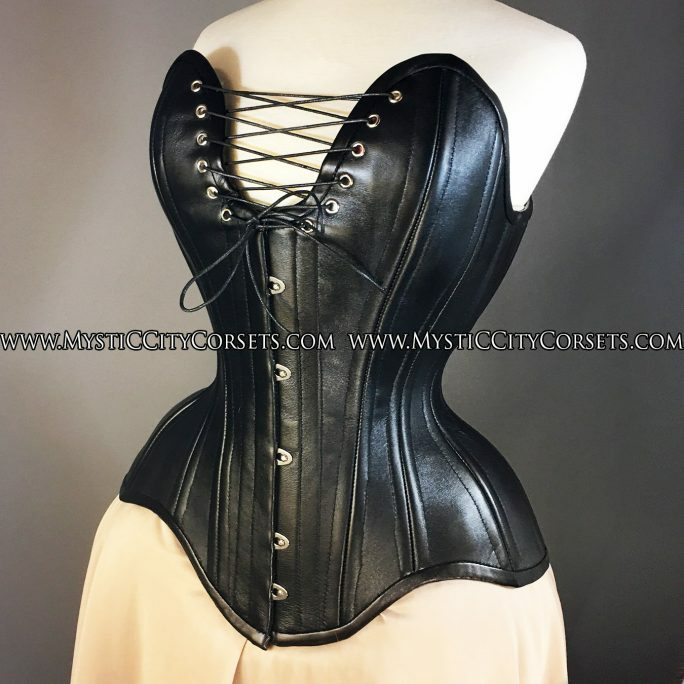 It includes 6 flat, and 20 spiral steel bones for higher reduction and support. This corset is designed with tightlacing needs in mind. 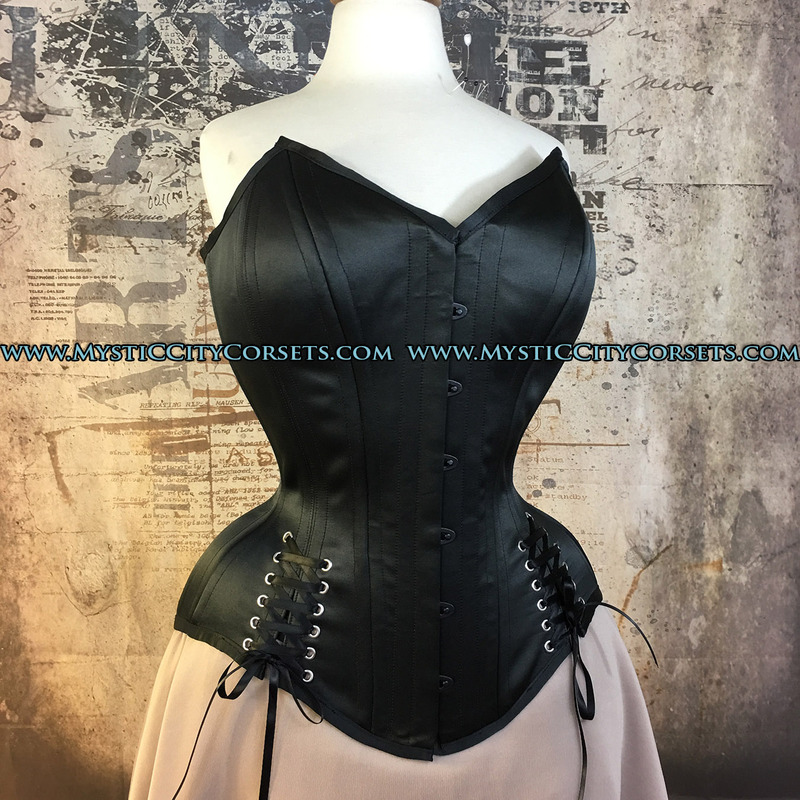 The front measures 15.5” long, with the top edge reaching 20″ at the bustline. 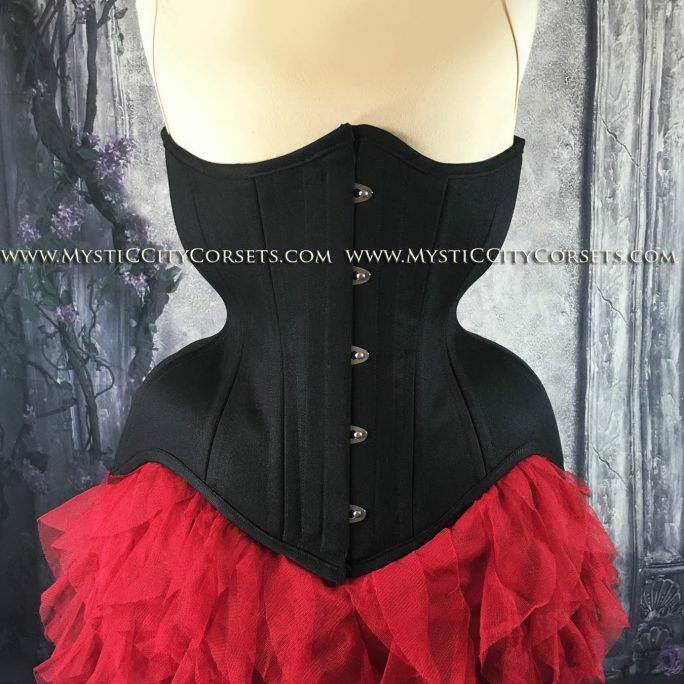 The back is 14” long to create a smooth line and prevent muffin. 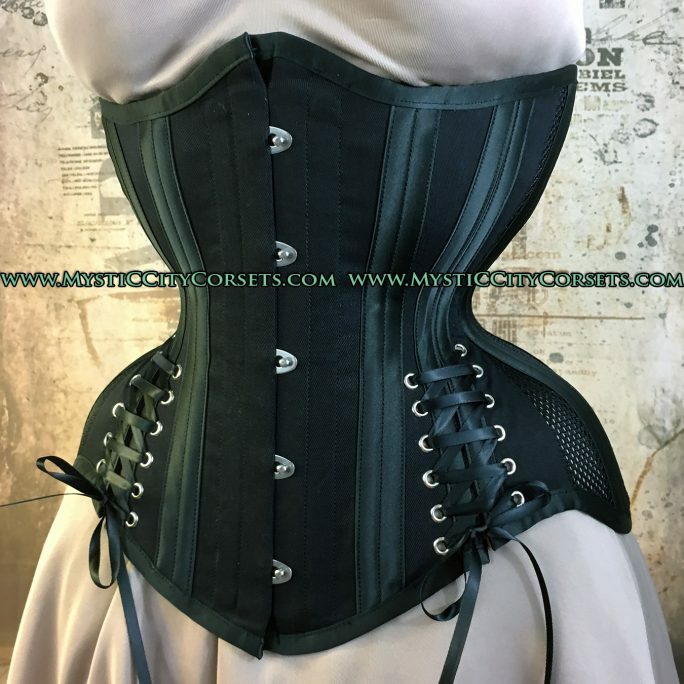 The side measures 12.5” long allowing a more comfortable and flexible fit for multiple torso lengths. 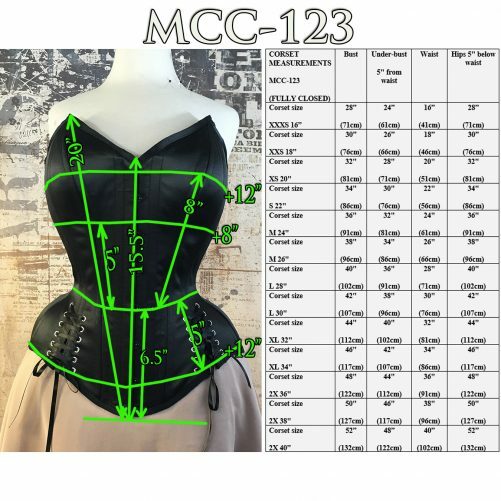 The MCC123 can accommodate a quite large waist reduction, features a conical shape with a slight cupped rib, a rib spring of 8”, upper hip spring of 12-14” ( hip ties) ! 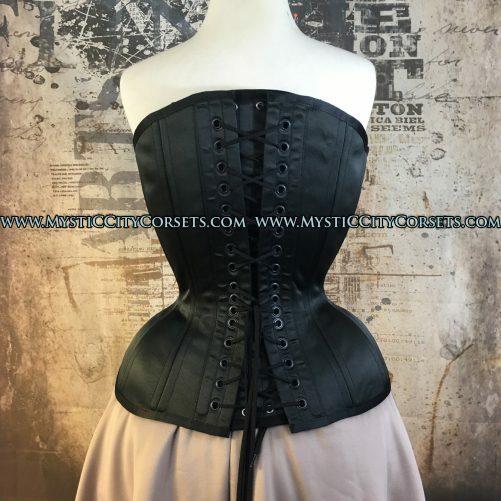 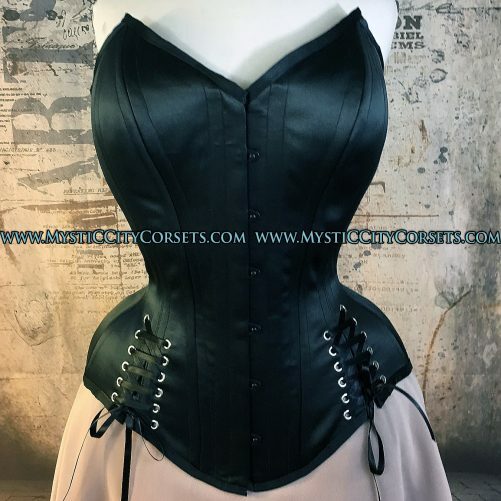 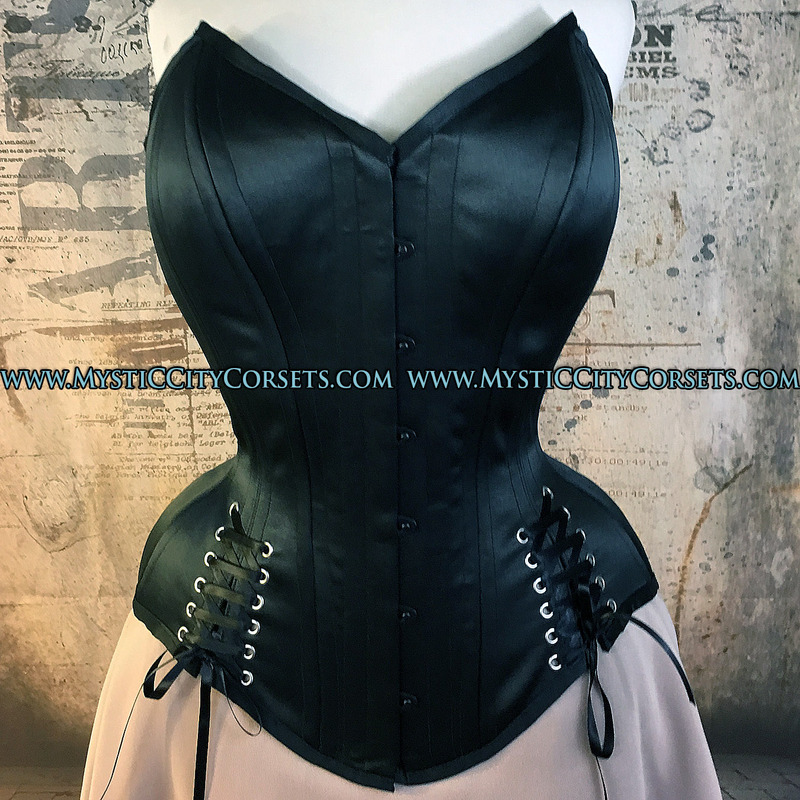 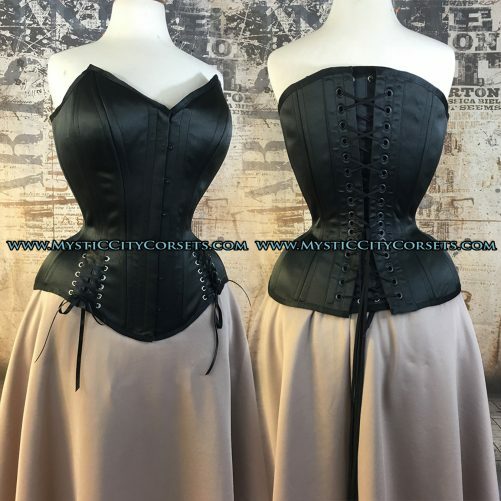 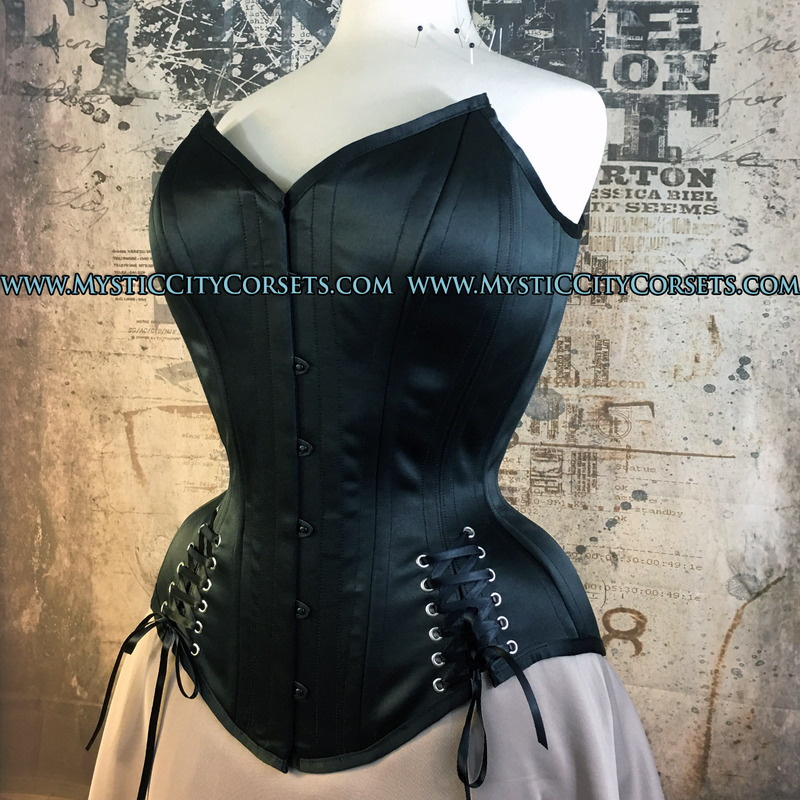 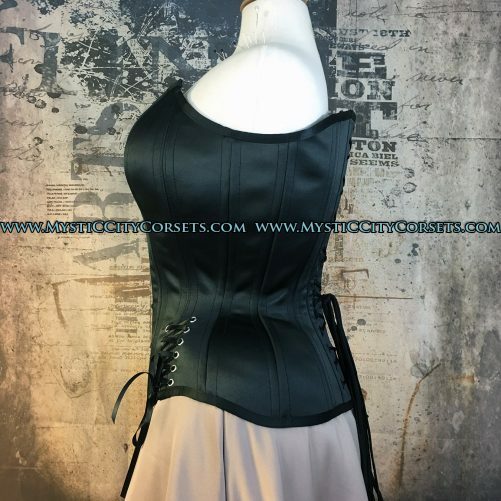 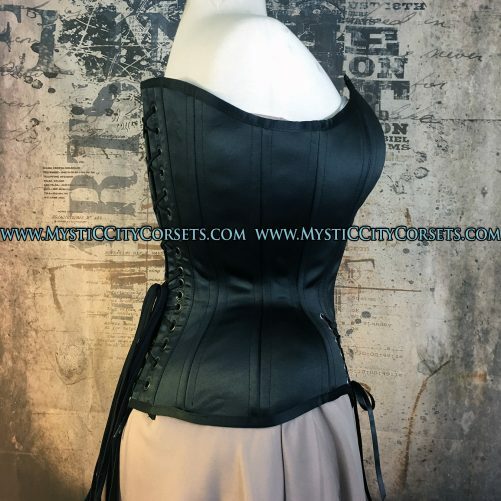 This corset is designed for larger busts, the bust can accommodate multiple shapes and sizes to suit your needs. All corsets include a floating modesty panel, storage bag.